Resin Bound is the fastest growing surfacing application of the last 5 years. It is being embraced by landscapers, developers and surfacing contractors nationwide and it is growing enormously in popularity as a driveway solution. Resin bound is a stunning alternative to block paving, macadam concrete or loose gravel and, thanks to its hard-wearing and natural finish, it ticks many of the boxes customers want regarding appearance, longevity and low maintenance. Permeability is also a major plus point. 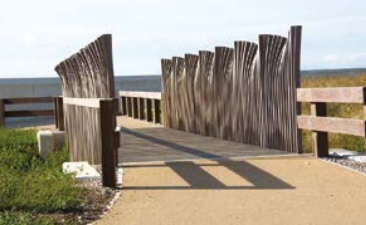 Fully SUDS compliant (a water management system introduced by the Environment Agency to help manage flood risk), resin bound meets planning requirements – which makes it ideal for new builds as well as renovations and it can be used for patios and paths as well as driveways. 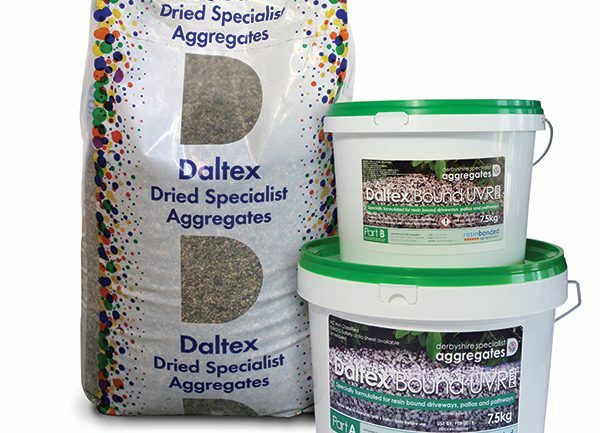 Derbyshire Specialist Aggregates is the manufacturer of DALTEX dried aggregates, the UK’s leading brand for resin bound systems. DALTEX dried aggregates are meticulously dried and screened to produce a high quality product which combined with DALTEX UVR stable resin helps deliver a beautifully consistent resin bound finish. Derbyshire Specialist Aggregates sources materials from all over the UK and worldwide and offers an unrivalled choice of colours, sizes and shapes of aggregate to suit all projects. NEW DALTEX Bespoke is a stunning range of 40 resin bound colour blends. Each blend is made up of different aggregate sizes and textures. Colours span the spectrum – from the richest reds to stylish greys to soft and subtle golden browns. There’s something for every style of property – be it residential or commercial. As one of the largest manufacturers of aggregate in the UK, Derbyshire Specialist Aggregates delivers natiowide and prides itself on offering 100% stock availability. Thousands of tonnes of raw material are kept in stock and finished product is ready for next day delivery. For added convenience, everything you need is in one place – so one order, one delivery and one contact will save you time. Online ordering is also available – orders can be placed from anywhere, 24 hours a day, 7 days a week. Of course, there’s always a friendly voice at the end of the phone if you need advice. DALTEX is BBA Accredited – the highest industry standard available. DALTEX UVR resin bound System has been awarded certification by the BBA (the British Board of Agrément). Products that receive Agrément Certificates are recognised by building control, government departments, architects, specifiers and industry insurers. It’s a mark of quality, safety and reliability that provides reassurance of the product’s fitness-for-purpose. Interested in Resin Bound Training? There is so much to consider when applying a resin bound system. It is important to understand how the resin works and reacts under different circumstances, the limitations of the weather and the site conditions needed to produce the best results. We run a one day training course run by experienced independent contractors from a purpose built centre in Derbyshire. The training is practical and hands on and covers everything required to ensure installations meet BBA Accredited criteria. You can also give your customers the confidence that they have chosen wisely by becoming a DALTEX UVR Qualified Installer. For more information about how to qualify, please contact us. The online knowledge centre at resinbondedaggregates.com also provides quick answers to frequently asked questions and anyone can call the technical helpline (01629 636500) for help with a specific query.